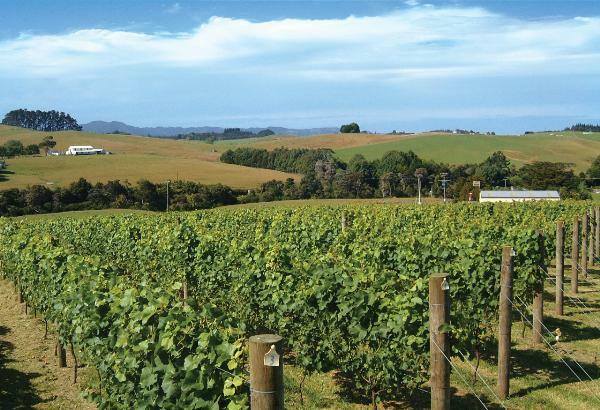 Matavino is a small family owned and operated vineyard, nestled on gentle north-facing slopes in the famous Matakana Wine region. My vision is to grow a variety of quality wines to match the local food and produce. Matavino epitomises the diversity of the Matakana Wine region, by growing the ancient red grape varieties Dolcetto, Barbera, and Nebbiolo from the Piedmont region in Italy, as well as the French white grape varieties Viognier and Chardonnay. Matavino Cellar Door is open 11 - 5 most Sat & Sun from end Oct until Easter. An opportunity to taste 5 wines in an intimate cellar door / winery - Chardonnay, Viognier, and 3 red Italian varieties from the Piedmont area - Dolcetto, the much acclaimed Barbera, and Nebbiolo. See the traditional clay Amphora that the red wines are now being made in.